You might think of yourself as a dedicated skier because you’ve purchase season lift ticket ever year. 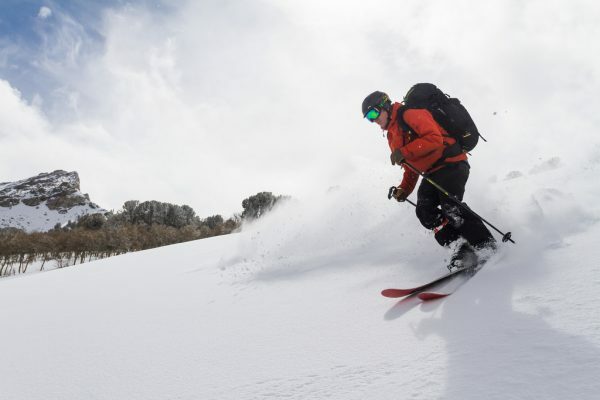 But you wouldn’t have anything on Danny Miller, who has skied every month — summers included — since 1993. Miller is part of a growing number of obsessed skiers who have found a way to continue their pastime into the summer, but are increasingly having trouble due to global warming, according to an article in Seattle Times. Through the website Turns All Year, skiers share tips and trip ideas for making this extraordinary feet possible. First, you need to find an area where the snow stays around all year. In the Pacific Northwest, where Miller and other year-round skiers call home, it’s entirely possible. But global warming is making it tougher. Sometimes Miller ventures to Canada or Oregon, but most of his 277th straight months — 23 years — of consecutive skiing months occurred in the Washington Alpental and Mount Rainer regions. The Cascade’s Mount Hood, Mount Baker and Mount Adams also boast backcountry skiing opportunities year-round. During the summers you can find Miller and sometimes a companion trudging up hiking trails with skis strapped to his back country like a strange oddity. “We would always get looks from tourists. We were almost a tourist attraction,” a friend of his, Donnelly Miller (no relation) told the Times. Nowadays, skiing all-year-round is more common. Many others are continuing their skiing streak into the summer. It’s unclear exactly who holds the record, though Miller must be close. Although there are more people venturing into the back country these days, Miller said the opportunities are decreasing as the snow pack continues to diminish each year. For now, Miller will be out there continuing to seek out powder every month around the year.